Born in the small town of Kalutara in 1970, the ex-Sri Lankan captain astonishingly tops this list as he has been run out 41 times in the 268 ODI matches he has participated in! 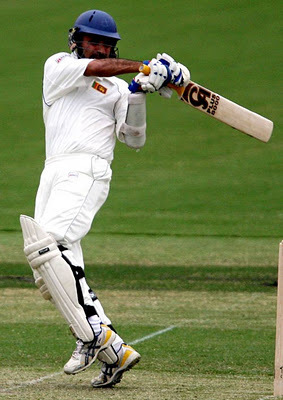 The reason which could be given for his mishaps is because of having an opening partner like Sanath Jayasuriya, who scored at a much greater strike rate than he did and as a result was under severe pressure to rotate the strike on a consistent basis. Yet, this did not stop Atapattu from being one of the most prolific run-getters for Sri Lanka in ODIS with 8529 runs under his belt with a healthy average of 37.57 and a best of 132 not out against England at Lords in 1998. ‘Jammy’ will not be proud of this record. Not only is he second-most run out batsmen in Tests, but also in ODIS with a stunning 40 run-outs that he has been a victim of. Rahul Dravid may be tall and thin, but he has never been the quick in running between the wickets and that has led to his downfall several times. Especially in the slog overs when Dravid batted several times in his ODI career and had to let other batters do the hitting. His Test-match style of batting is one of the primary sources of him being run-out and that too explains his axing from the side in late 2007 until he made short-lived returns to the format in 2009 and the England tour of 2011, when he finally decided to quit ODI cricket. 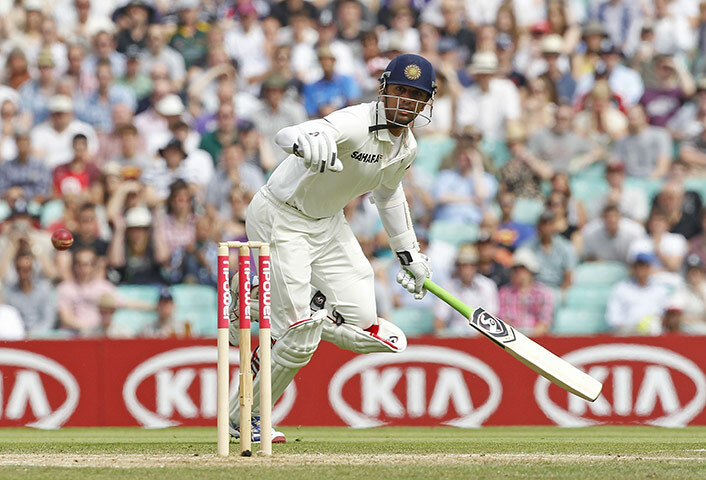 However, Rahul Dravid belongs to the rare breed of batsmen to have scored above 10000 runs in both ODIS and Tests. His record in ODIS is outstanding – 10889 runs in 334 matches at an average of 39.16 with his highest score being 153 against New Zealand in Hyderabad in 1999. The big man from Multan shares this record with Dravid, but his inclusion in his list is not astounding. 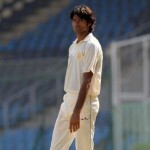 In fact going by his burly figure, he was expected to be No.1 of them all in terms of being run-out the most. 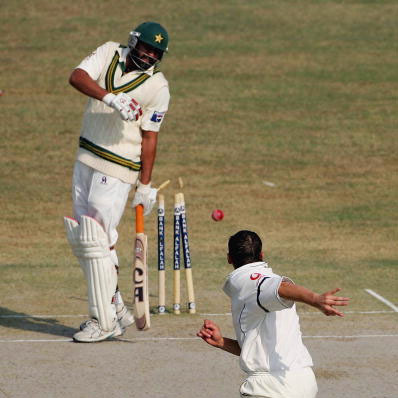 Anyway, Inzamam has been able to entertain fans all over the world with his power hitting over a decade but also the manner in which he runs between the wickets. He is a classic example of ‘stand and deliver’ especially while playing fast bowling and this is why he never relied on taking ones and twos often to increase his runs and often put himself or his partners in danger when he did decide to run. Although his running has always been controversial and incurs the wrath of unforgiving Pakistani fans, the ex-Pakistan President General Musharraf in 2006 was quick to point out humorously that Inzy had dived in the crease for the first time since 1991, when he was batting in a ODI match against India! He will be remembered the most for his physique and his sometimes faulty English speeches, but more importantly he scored 11739 runs in ODIS at an average of 39.52, which is legendary for a middle-order batsman and his best is 137 not out against New Zealand in Sharjah in 1994. 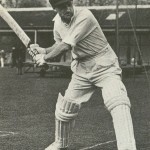 Previously known as Yousuf Youhana, the Lahore run machine was the fourth Christian cricketer to have played for Pakistan. But where there is Inzamam, there has to be a Mohammad Yousuf. Their partnership kept an otherwise fragile Pakistani batting line-up stable over the years with Yousuf perhaps spending time at the crease with Inzamam more than any other batsman. But he has to bear the brunt of batting with Inzy as it is mainly due to him that he has had to suffer unnecessary run-outs and perhaps was denied tons of runs. Yousuf too was not sharp in his running and so he also needs to be blamed for holding this record. However, like the great players to have graced this list, Yousuf is not far behind as he was the rock of the Pakistan batting line-up in ODIS with 9720 runs in 288 matches at an excellent average of 41.71 and a highest score of an unbeaten 141 against Zimbabwe at Bulawayo in 2002. Wasim Akram is the third Pakistani to have made this list and a surprise entrant since the above record holders have been pure batsmen. Being a fast bowler, he should naturally be a quick runner between the wickets. 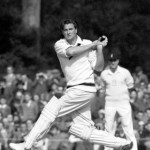 But he is an exception as getting run out 38 times shows that he relied more on the swinging of his bat to score runs, and since he usually batted at No.8 or No.9 and in the final overs of an ODI, he tried to score as much as possible and in that process might have got run out a couple of times. Wasim Akram’s record vis-à-vis the fact that two Pakistanis are above him in this aspect shows that how poor the Pakistan team was in terms of their running and that could have sometimes led to poor batting performances and as a result, defeats which could have been victories. The Maestro is another shock inclusion in this list. It is because he has over the years been focused in taking the ones and twos on a regular basis in his ODI innings, but still has been run-out 36 times in his incredibly long 453 match career and the count can increase as he remains very much a part of India’s ODI plans leading to the 2015 World Cup, despite having not played a single ODI since the 2011 World Cup final in Mumbai against Sri Lanka. Tendulkar sometimes might be provoked in taking the risky single and it is often seen that he has been run-out with a direct hit from mid-on or mid-off. Still, his opponents can hardly get the better of him as he keeps improving his style of batting being the first man to score a double century in the format at the age of 36 and possesses over 17000 runs, a record which is likely to last for a long period of time. 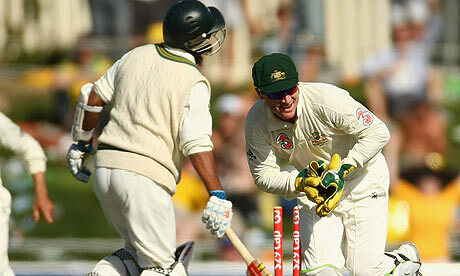 Run outs are only Indian subcontinent affair. well asian players r raw talent so they have a long carrier so thats the reason they r runout more it should be compare in ratios of match played by them that these match percentage time been out they r runout 4 this much percentages..